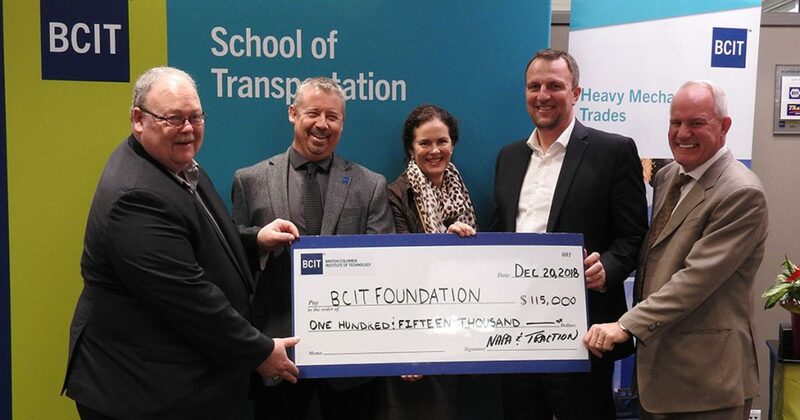 Vancouver – January 25, 2019 – A generous $115,000 gift from NAPA Auto Parts and Traction Heavy Duty Parts will equip students at the British Columbia Institute of Technology with state-of-the-art tools. BCIT says NAPA has a long history of supporting trades education and employs many BCIT graduates. The school extended special thanks to Greg Phoenix, general operations manager, NAPA; Keith Martens, regional vice-president, NAPA West; and Brian Shaw, regional vice-president, Traction West; who presented Jackie Jacob with the donation.